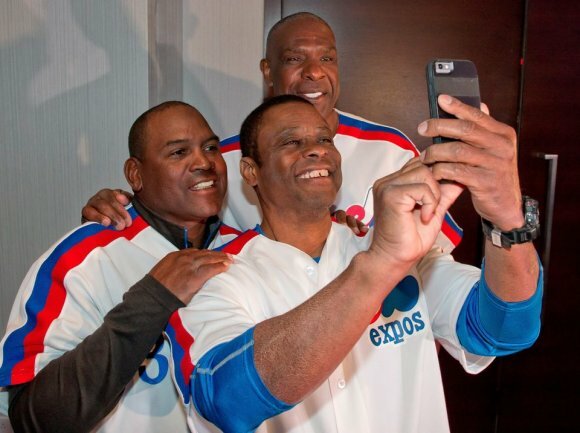 The Montreal Baseball Project is elated at the news of the election of Montreal Expos legend Tim Raines to the Baseball Hall of Fame. "I am thrilled that Tim will now be taking his rightful place in the Baseball Hall of Fame," says Montreal Baseball Project founder and president Warren Cromartie. "A lifelong friend and teammate, he was one of the most legendary players in Expos history and it is fantastic to see him join Andre Dawson and Gary Carter as representatives of the Expos franchise in Cooperstown. "His illustrious career will finally be recognized with the highest honour in baseball. He was one of the best players of his era, and this recognition is one that is truly well-deserved." The implications of this development for the return of baseball to Montreal are significant, according to Cromartie. "Having another Expo in the Baseball Hall of Fame will allow for Montreal to further carve its place in baseball history, and strengthen the case for it to once again be home to a Major League team. Tim is an important part of Montreal's baseball history, which will take center stage at the induction ceremony in July." "Despite winning the World Series with a franchise as prestigious as the New York Yankees and having success in other cities like Chicago, Montreal has always been close to Tim's heart. Montreal should be very proud of his accomplishment, and I know Expos fans everywhere share in our excitement at this news today." The excellent results for former Expos all-star Vladimir Guerrero in his first year of eligibility are also a very positive development. "I am also very pleased to see such a strong showing for Vladimir in his first year on the ballot", adds Cromartie. "It would be incredible to have one of the most electric players in Expos history join the Hall of Fame as soon as next year, so we can relive this once again. Today is without a doubt a very special day for Expos fans everywhere and we can all take immense pride in it." Montreal Baseball Project is planning to celebrate Raines and his remarkable career later on this year, and give fans the opportunity to partake in this tribute.